You're going to be making a LOT of phone calls for the next four years so it pays to get yourself organized upfront. To that end, I've created this googledoc you can use to keep track of all the phone numbers you need to have at your fingertips. There's room for you to fill in the contact info for your two senators and your Representative at the top and then I've provided a lot of other numbers you'll probably be needing like the Speaker of the House, Senate Majority and Minority leaders, Office of Government Ethics, Senate Judiciary Committee (and all its members), etc.. 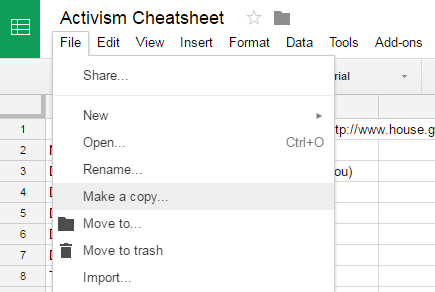 I encourage you to create a copy of this googledoc and add or delete whatever info you like to make it work for you. If you use googledocs already, just create a copy right in it and go to town (see below). If you don't use googledocs, you can download the doc as an Excel file and then make whatever changes you like there (see below). Once you've gathered all this info, I recommend that you put the contact info for your three Congressional representatives into your phone to make it easier to ring them often. And I would make sure to include all of their district office numbers as you often have to try a few numbers before you can get through. 1. 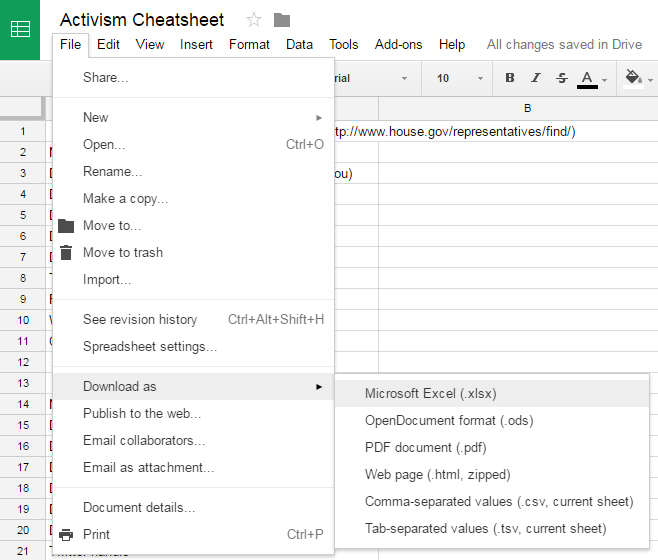 Take a look at the sheet and fill in the missing info for your members of Congress . 2. Add the pertinent numbers to your phone's address book. 4. I would recommend that you schedule this time to help ensure that you actually make it happen. And make sure that you schedule it during business hours east coast time since many of the calls you'll be making will be to DC.